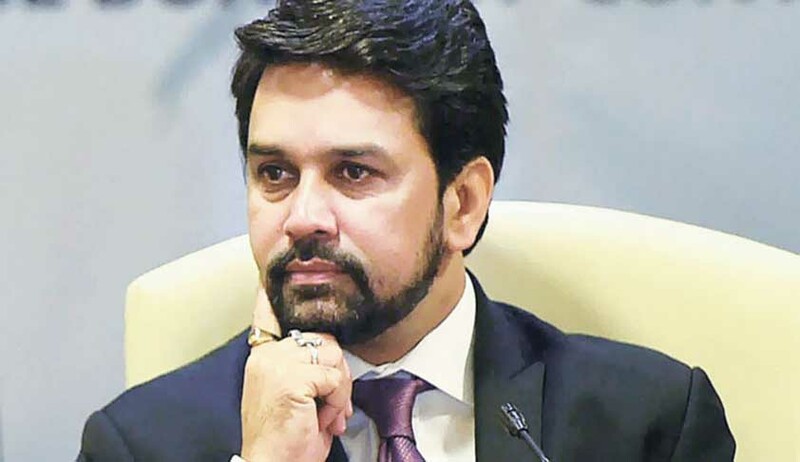 Two months after he was issued a contempt notice for filing some false statements and affidavit in the Lodha panel Vs BCCI case, former BCCI President Anurag Thakur today appeared personally before the Supreme Court bench and tendered an unconditional and unqualified apology. Thakur told a bench headed by justice Dipak Misra that he had never intended to file any false information before the apex court and filed an affidavit explaining the circumstances under which the averments made by him led to the initiation of contempt proceedings. The bench headed by then Chief Justice T S Thakur had on January 2 removed BCCI President Anurag Thakur and Secretary Ajay Shirke for continued defiance regarding implementation of Lodha panel reforms. Anurag Thakur was in deeper trouble as the bench also issued show cause notice wherein he is to explain why perjury and contempt proceedings shall not be initiated against him for making certain false statements on oath before the court. “When there was ample proof of it on record, he had in an affidavit filed on oath denied the same before the court which the bench said amounted to perjury.The bench found that Anurag had asked Shashank Manohar, the Chairman of the ICC to write a letter to the BCCI that the appointment of a CAG would tantamount to government interference in the working of the BCCI. “We prima facie feel that you (Anurag Thakur) are in contempt and we also prima facie feel that you are liable for perjury and we are inclined to launch prosecution. Manohar is very clear. You did ask him to write a letter from ICC that CAG nominee in BCCI would affect the autonomy of the board and then you denied it in an affidavit filed before the court. This means you have made a false statement on oath. Once we pronounce the order, your client may have nowhere to go except to jail”: CJI Thakur had told Anurag Thakur’s lawyer Kapil Sibal.